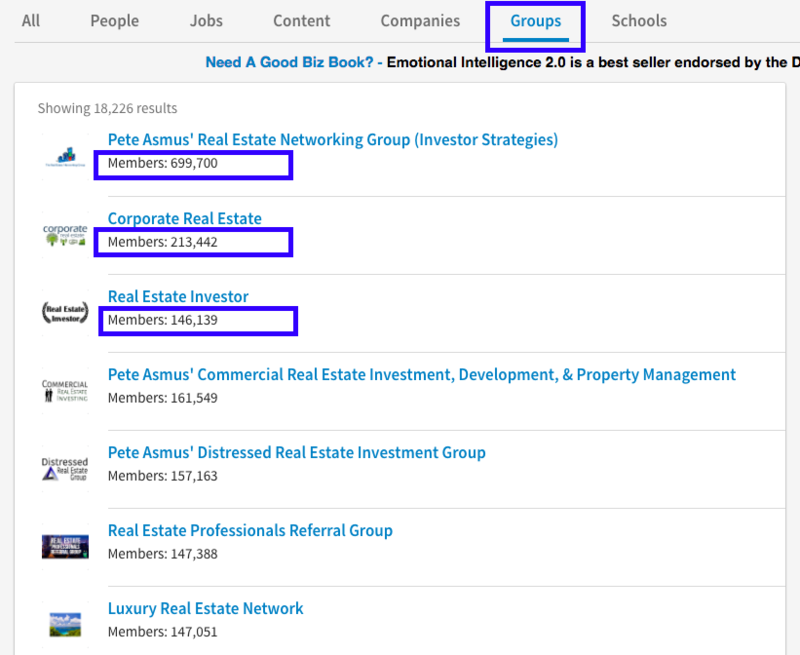 Do linkedin groups show how many members they have like Facebook groups do? Yes it shows how many members in that groups, once you join a LinkedIn Group, your profile becomes visible to every member in that group. A fellow group member can click on your profile, and will be able to view your information based on your privacy settings. However, joining a group doesn't allow you to see a fellow group member's network. Once yourself and a fellow group member become trusted connections, you can view their entire profile and connections. can I use an pen name to register on linkedin? Or does linkedin proof my address for verification? Or rent an office /maildrop address is an alternative? Nope, LinkedIn doesn't request a proof for verification I guess if you trying to violate their ToS they have the right to request you an ID. When I use as sole entrepreneur rent an virtual office in a different country to use that address on linkedin- is that that against their ToS? No, it's not. It good to have a consistency between the LinkedIn and your website info. Use virtual office address on linkedin and my website too or not? Say me please what is best way to do. Is it possible- to make my linkedin profile country specific- means that my linkedin profile is only shown in UK (as an example)? Yes, they show the number of members in certain group. However, you need to be connected to other member for viewing his profile. yes dude it will show the number of members in the group .once you joined the group it will started showing,you can able to view your profile and your friends can also able to see your profile in accordance with the profile settings.. I noticed that the number of my Groups Members is stuck at 20,166 no matter how many more I add every day. Anyone facing the same issue? But I see many people are struggling with linkedin to get clients, I do not know why. Maybe the claims are higher here? And you have to show in profile serious big references, as well as phone number for a call to call conversation. So for overseas providers who do not speak fluent english, linkedin is not the right place? yes it shows the count of the members on the linkedin group..